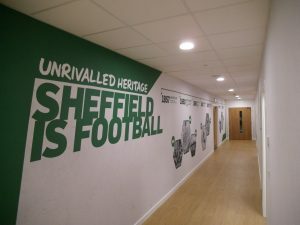 The £6m St George’s Park sports ground in Westfield, Sheffield in South Yorkshire is the third development in the FA Park Life Scheme, which is designed to give the young people of Sheffield and the surrounding areas greater access to opportunities relating to football and sport. 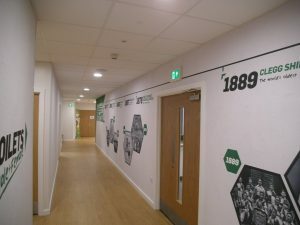 The main contractor chosen by the client for this project was Robertson Construction, operating from their Sheffield office. 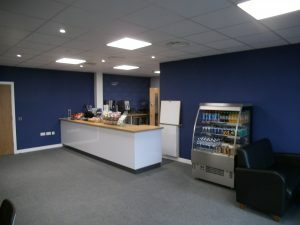 Following a competitive tender process, Rakewood Contracts Ltd was initially selected to supply the ceilings, internal joinery and external cedar cladding packages with a total value of around £120,000; the scope of the work was later expanded to include bespoke reception desks and serving counter, with a final package value of circa £150,000. 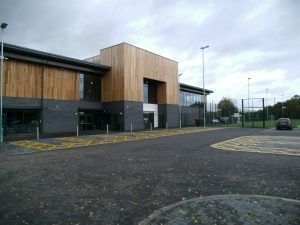 The cedar cladding system was of a bespoke design, developed by the architect. Internal joinery comprised primed MDF profiles with oak veneered solid core doors. 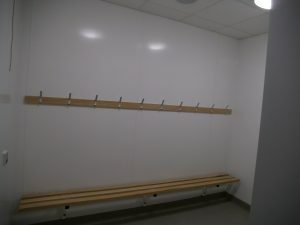 Solid ash was specified for the cantilever bench seating in the changing areas. 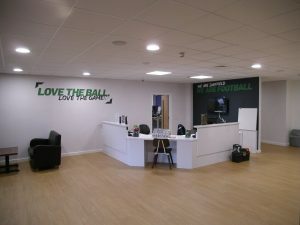 The bespoke reception desks and serving counter were created using Kronospan white gloss / acrylic MDF core board. 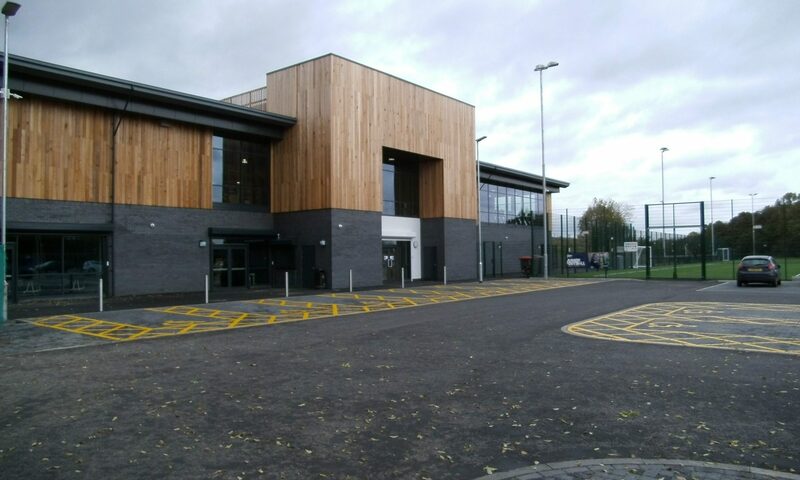 The package was successfully completed in early September and the building itself has now been handed over by Robertson Construction. 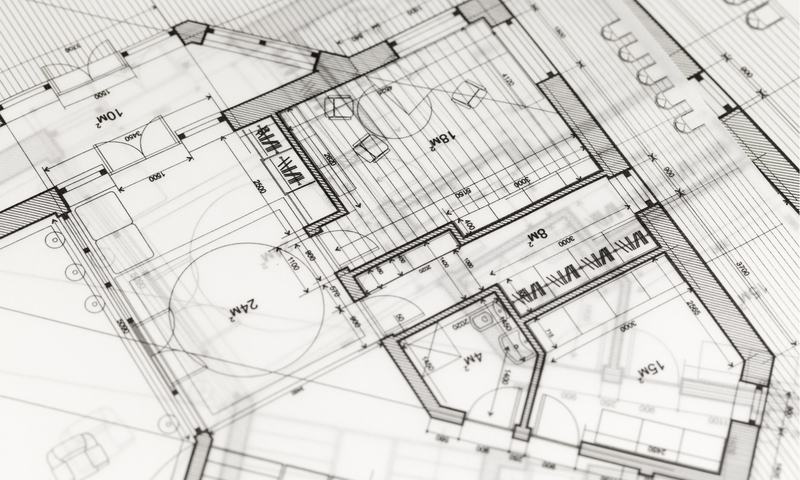 If you would like to know more about how Rakewood Contracts can help you to realise your project, please do not hesitate to contact us and we will be glad to assist.